Shortly after we had moved house and we were still without broadband, I was getting a bit restless and started looking for a new project. 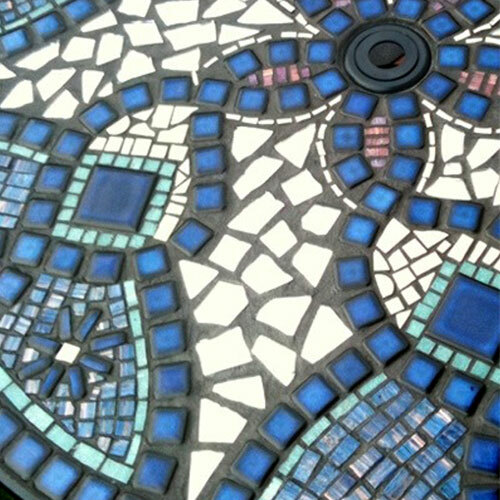 We had been given a glass-top garden table and it was just crying out to be decorated with mosaic. Using my favourite blue tiles I created the outline for the pattern and then filled the spaces with broken white tiles, mosaic tiles and broken mirror.